To view this, you need to install the Flash Player 8. Please go to here and download it. Contact us today to set up an appointment or consultation at Mulqueeny Eye Centers. "I've worn glasses for 45 years -- this is incredible! I see ordinary objects (trees, flowers, people, houses, cars, etc.) with crispness and sharpness unlike I ever experienced with glasses. My only regret is that I didn't have it done sooner. The results are nothing short of UNBELIEVABLE!" What do Kate Spade & Maui Jim have in Common? What do Kate Spade® and Maui Jim® have in common? The entire line of both of these designers will be displayed at our Spring Optical Trunk Show on Wednesday, April 10 from 2:00 - 6:00 PM....that's what! Save up to 30% on all of our frames and designer sunglasses while you sip of glass of wine and browse! Plus, enter to win a pair of Kate Spade® sunglasses! On Saturday, March 23, we will be performing free macular degeneration risk assessments in our office from 9:00 AM - 1:00 PM. A quick 5 minute screening with the QuantifEye® device along with your medical history will allow us to determine your risk for developing macular degeneration. In order to assist you better, we are taking reservations for the screenings. Click here to request your reservation online, or call our office at 314-542-3600 today to reserve your spot! 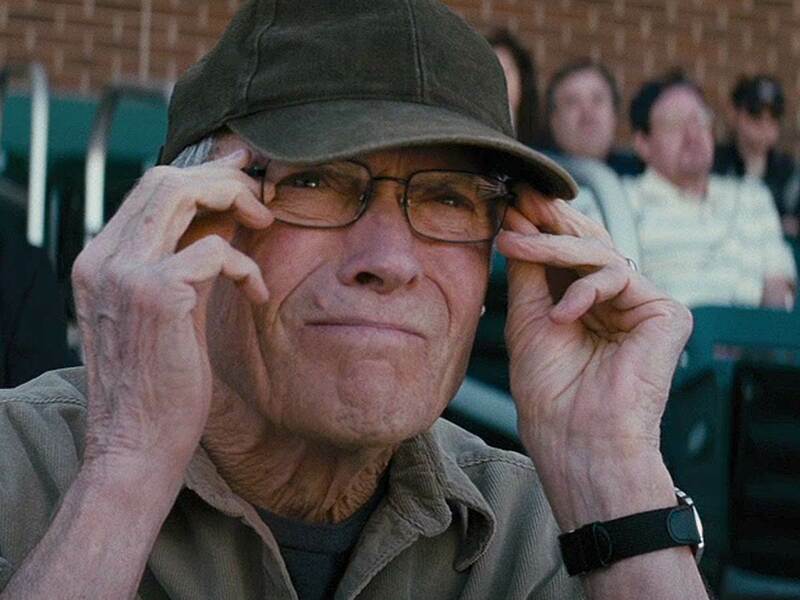 "Trouble with the Curve" is a movie about Gus Lobel, (Clint Eastwood), an aging baseball scout trying to ignore the signs of aging that are affecting his ability to do his job...most notably, his vision! What are the risk factors of Age-Related Macular Degeneration? What can you do to minimize your risk? Sleep Your Way to Good Vision! Do you wear glasses or contact lenses and want to be less dependent on vision correction as you go about your day? Not a candidate or interested in surgical corrections like LASIK? 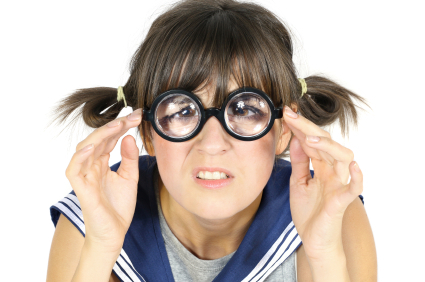 Do you have a child who is nearsighted and you want to slow the progression of nearsightedness? If you answered yes to any of these questions, we may have a solution for you! At Mulqueeny Eye Centers, we offer many vision correction options including LASIK - laser vision correction, glasses and specialty contact lenses. Now, you can correct your vision while you sleep by utilizing a method called CRT - Corneal Refractive Therapy and in many cases, be glasses and contact lens free during the day! What is CRT and how does it work? Find out here! February's Sweetheart of A Deal! February is Love Your Vision Month at Mulqueeny Eye Centers! Check out our Sweetheart of A Deal in our Optical Center and save big on your next pair of glasses, plus treat your Sweetheart! 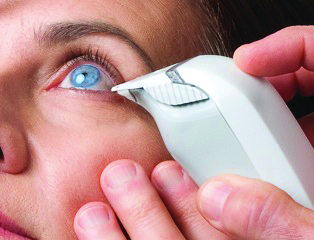 New tools within the last few years have advanced the diagnosis and treatment of dry eye syndrome. 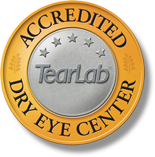 We now have a way to effectively measure the quality of your tear film using device called TearLab™ Osmolarity. Winterize Your Eyes Against Dry Eye Symptoms! 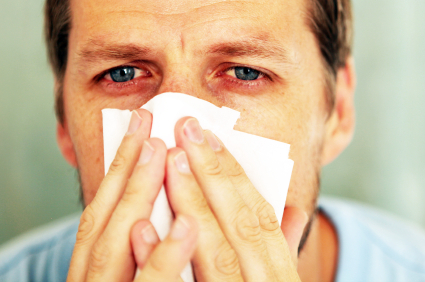 Dry eye symptoms can increase dramatically during the cold winter months. Here are a few changes you can make today to winterize your eyes and help alleviate the aggravating symptoms of dry eye! Optical Center End of Year Clearance Sale! Save up to 50% off on select Designer frames including Giorgio Armani, Armani Exchange, Michael Kors and Versace! Plus, receive a FREE scratch resistant and UV coating with your purchase! Hurry! Limited quantities. Sale ends 12/31/12. I'm Over the Moon Excited! 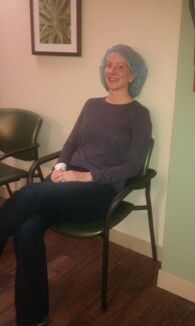 Dr. Emily Thomas is a Visianary! It was a very emotional day last Thursday for Emily Thomas, OD of Springfield, MO. Why? Emily who has been extremely nearsighted and dependent on glasses or contact lenses since she was a young child, decided to have the Visian ICL (Implantable Contact Lens) procedure. To be able to see the clock and her Mom's face immediately after the procedure sent us all looking for tissues! What Does It Take to See Great After Age 45? What do you get when you marry a rigid gas permeable contact lens to a soft contact? It's the new Duette™ HD and Duette™ Multifocal hybrid contact lens! Those of us who wore contact lenses years ago know that RGP's (rigid gas permeable lenses) were our only choice back in the day. Though they provided excellent vision, they definitely were not the most comfortable contact lens to wear. The tiniest speck of dust or mascara under the lens could send you running for a tissue! Now, you can have the best of both worlds...the great vision of a rigid lens AND the all-day comfort of a soft lens! Glennon Card Starts Today! Save 20% at Local Retailers! Beginning today, Oct. 26 through Nov. 4th, your purchases using the Glennon Card will save you 20% at participating retailers! And, the best part is that 100% of the proceeds from the sale of the Glennon Card will directly benefit the kids at SSM Cardinal Glennon Children's Medical Center. The Devil Wears Prada...and Dolce & Gabbana too! It's not just the devil that deserves to wear Prada...or Dolce & Gabbana! Join us on Wednesday, October 10th for our Trunk Show featuring these fabulous lines in our Optical Center! What's a trunk show you might ask? During a trunk show, vendors display their entire lines of ophthalmic (prescription) frames and sunwear to the public to try on and purchase. What a great way to see all of your favorite designer spec's all in one place! And, a great way to SAVE too! 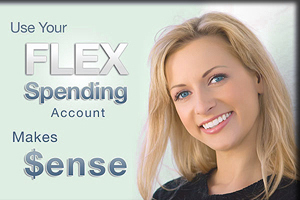 It's Flexible Spending Account Time! Flexible Spending Account (FSA), Cafeteria Plan, Section 125 -- are all terms used to describe an employer-sponsored benefit for employees to fund out-of-pocket medical, dental, vision and in some cases, child care expenses. Money deducted from an employee's paycheck into an FSA account is done so BEFORE taxes...which at the end of the year saves you money by reducing the amount of income tax you pay! But. you must use it by the end of the year....or, lose it! Do you have a question about your eyes or vision? "What's Your Eye-Q?" is our new question and answer forum where patients can get expert advice and answers from our doc's. Today's question is "Why don't they have contact lenses with UVB protection?" August back-to-school time signifies the unofficial end of summer. 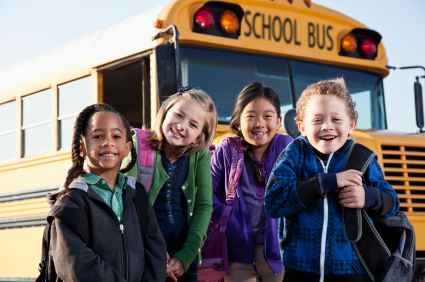 Make sure your child is ready by having their vision checked before school starts! 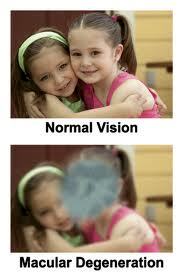 Need to know the warning signs that your child might have a vision problem? Read on! Today is World Sjogren's Day! The hallmark symptoms of Sjogren's Syndrome are dry eyes and dry mouth*. As an Accredited Dry Eye Center, Mulqueeny Eye Centers offers the latest technology in the treatment of Dry Eye Syndrome. If you suffer from dry eye associated with Sjogren's, call us today to find out new treatment options for you! July is Cataract Awareness Month at Mulqueeny Eye Centers and we've been talking about signs/symptoms of cataracts and steps you can take to delay their development. Before lens implants were available, patients who had cataract surgery had to wear "coke bottle" glasses after their procedure to get better vision. 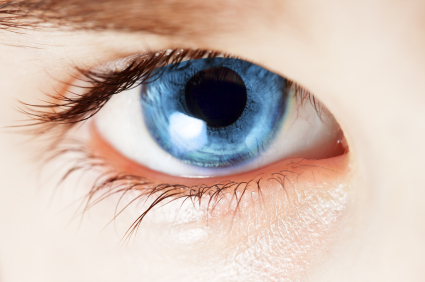 Ever wonder where the concept of implanting an artificial lens in the eye came from? Read on! 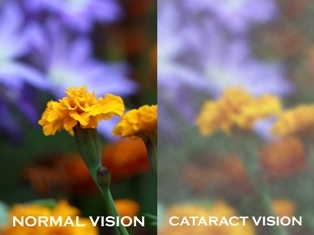 Can Cataracts Affect How Well You Sleep? Some researchers now believe that cataract development - the yellowing of the intraocular lens - may be a potential cause of sleep disturbances! 5 Precautions You Can Take Now to Delay Cataract Formation! Age, family history, gender, race and certain medical conditions are risk factors for cataract development over which we don't have much control. There are, however, some lifestyle changes we can make to prevent or at least delay the development of cataracts. Here are 5 precautions you can start today! Blurry Vision? 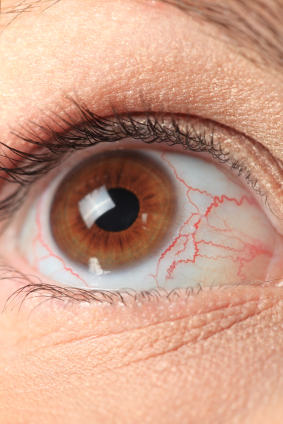 7 Signs That You May Be Developing Cataracts! Did you know that cataract formation is the leading cause of treatable blindness in all parts of the world? The good news is that cataracts and the visual impairment that they cause is easily treatable. In the United States, more than half of Americans will have developed significant cataracts or undergone cataract surgery by the time they reach age 80. Here are 7 must-know signs/symptoms that you may be developing cataracts! Over-Exposure to UV Radiation Can Cause Some Nasty Eye Conditions! We all know what over-exposure to sun can do to our skin, but do you know the effect of too much sun on your eyes? Know Your ABC's About UV Protection - June is UV Protection Month! It’s no secret that sunglasses are an important to the health of your eyes. What many don’t realize is how important the PROPER sun lenses are. Which is best for you? Though there are many lens types, colors and options, the most important factor to consider is the amount of UV protection. Set Your Sight On A Cure! Set Your Sight On A Cure! Save the Date! On Thursday, June 21, Mulqueeny Eye Centers is hosting an Optical Trunk Show to benefit the St. Louis Affiliate of Susan G. Komen for the Cure® from 12:00 PM to 7:00 PM. In addition, BCBG has designed the Susan G. Komen Dream Sunglasses. Fifty percent (50%) of each pair sold from now until June 21 will be donated to breast cancer research. The glasses retail at $129.00. 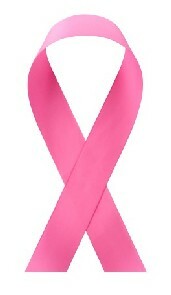 We're setting our sights on a cure....Join Us! Spring Fling Optical Trunk Show - May 16! Join us at our Optical Trunk Show on Wednesday, May 16 from 4:00 - 7:00 PM and take a look at the entire lines from your favorite designers like Maui Jim, Lulu Guiness and Ted Baker! Plus, save big on all of our in-stock frames and designer sunglasses! Every Spring when allergy season hits, we get updates from local newscasters what the pollen and mold forecast is for the day. Ever wonder who does that and what it means to you? Is It Allergies or Is It Dry Eye? Ocular allergy and Dry Eye Syndrome (DES) are often mistaken for one another. This isn’t surprising given of the overlap in symptoms between the two. 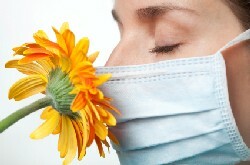 Redness, itching, burning and general irritation can be symptoms of both allergy and DES. There are a few clues, however, that may help you distinguish between the two. Mulqueeny Eye Centers is one of four clinical study sites participating in the ONIT (Oral Nutrition Impact on Tear Film) Research Study for Treatment of Dry Eye. 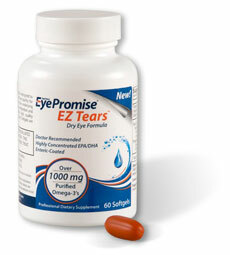 If you are eligible for this study, study exam visits at no cost to you and a supply of EZ- Tears®Omega 3 supplements for the duration of the study. You may receive compensation for your time. Please contact our office at 314-542-3600 if you are interested in participating. Earth Day 2012 -- Recycle For Sight! Sunday, April 22 is Earth Day...Recycle Your Old Eyeglasses! you donate your old glasses, you can change someone's life? Here's how! Springtime is St. Louis is beautiful, but along with milder temperatures and blooming trees comes allergy season which can also cause red, itchy eyes! March 23, 2012 @ 11:08 AM -- by Sean Mulqueeny, O.D. The Snellen Eye Chart used by eye care professionals to determine how well a patient can see was invented in 1862 by a Dutch Ophthalmologist named Herman Snellen. Can you read the hidden message in the eye chart to the right? 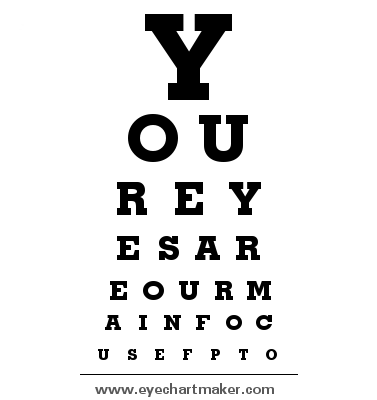 If you want to have some fun making your own personalized eye chart, check out this fun online tool! March 16, 2012 @ 06:46 PM -- by Sean Mulqueeny, O.D. March is Macular Degeneration Awareness Month! Macula Risk, a breakthrough DNA Genetic Testing, is now available for patients who have been diagnosed with early to intermediate Macular Degeneration. A few minutes of your time and a simple cheek swab gives new indications to determine the likelihood of patients with AMD to progress from a mild form of the disease to a more severe form, including devastating vision loss. March 08, 2012 @ 03:19 PM -- by Sean Mulqueeny, O.D. Animal eyes that glow in the dark can be pretty eerie and send a chill down your spine even for the those who are not faint of heart. Do you know what causes the "eyeshine" that you see? Find out here! March 02, 2012 @ 10:36 AM -- by Sean Mulqueeny, O.D. What causes red eye in photographs? February 24, 2012 @ 12:57 PM -- by Sean Mulqueeny, O.D. Did you know that each of our eyelashes has a lifespan of approximately five months? Though technically the purpose of an eyelash is a functional one to keep out dirt and debris, long eyelashes have historically been a sign of beauty and femininity in many cultures--think Cleopatra! What can we do to enhance our eyelash growth today? Read more here! February 17, 2012 @ 09:56 AM -- by Sean Mulqueeny, O.D. Shakespeare may have said that love is blind and we certainly know that when it comes to affairs of the heart, we can have a "blind spot" when it comes to love and relationships! But, did you know that you have a real physiological blind spot in your vision? Test it out here! Eye Healthy Eating Continues During Love Your Vision Month! February 11, 2012 @ 10:00 AM -- by Sean Mulqueeny, O.D. To improve the health of your retina's, try this yummy broccoli recipe submitted by Erica, Mulqueeny Eye Centers Patient Service Specialist! February 10, 2012 @ 10:02 AM -- by Sean Mulqueeny, O.D. Did you know that our pupils dilate when we gaze upon someone or something that we find attractive? Feast Your Eyes on Healthy Eating During "Love Your Vision" Month! February 08, 2012 @ 09:15 AM -- by Sean Mulqueeny, O.D. Lots of reasons to "Love Your Vision" at Mulqueeny Eye Centers this month! Check out today's Eye Healthy Recipe! Eye Wanna Salsa with You--Salmon & Spinach for Two! January Is Glaucoma Awareness Month - Know Your Risk Factors! January 20, 2012 @ 09:58 AM -- by Sean Mulqueeny, O.D. Known as the "sneak thief" of sight, glaucoma can rob you of your vision without any noticable signs or symptoms. Find out what your risk factors are and what you can do to preserve your vision! 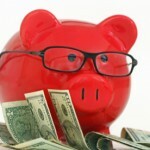 10 Ways to Save Using Your Flexible Spending Account! September 30, 2011 @ 08:51 AM -- by Sean Mulqueeny, O.D. If you have unused dollars in your employer's Flexible Spending Account that you still need to use by year's end, or if it's time to make your FSA commitment for 2012, here are 10 ways you can save on your vision care needs! September 21, 2011 @ 02:53 PM -- by Sean Mulqueeny, O.D. Mulqueeny Eye Centers is featured as a sponsor of the Glennon Card, a fundraising project, to benefit SSM Cardinal Glennon Children's Medical Center. Purchase a "Glennon Card" and save 20% on LASIK as well as purchases in our optical center, vitamins, supplements and more! $69 Back-To-School Exam and Optical Deal for Patients of All Ages! August 10, 2011 @ 09:45 AM -- by Sean Mulqueeny, O.D. $69 for Vision Examination Plus Free Single Vision Impact Resistant Lenses with a Purchase of a Frame in our Optical Center! Value $300! Mulqueeny Eye Centers Optical Grand Opening Raises Over $3,000 for SSM Cardinal Glennon Children's Medical Center! August 07, 2011 @ 11:10 AM -- by Sean Mulqueeny, O.D. Thanks to everyone who attended the Grand Opening of Mulqueeny Eye Centers Optical on Saturday, July 30th! The event was a huge success! July 27, 2011 @ 09:26 AM -- by Sean Mulqueeny, O.D. Dr. Sean P. Mulqueeny was featured in the July 20th issue of Town & Style Magazine in a special section titled Champions for Change. Read the full article here! RAFFLE for FREE LASIK to Benefit Children of SSM Cardinal Glennon Children's Medical Center! July 21, 2011 @ 02:46 PM -- by Sean Mulqueeny, O.D. $100 per chance to win a FREE LASIK Procedure! Non-winners may redeem their raffle ticket for $500 ($250 per eye) off of a LASIK procedure. All proceeds will be donated to the SSM Cardinal Glennon Children's Medical Center. Everyone wins...especially the children of Cardinal Glennon! July 21, 2011 @ 09:00 AM -- by Sean Mulqueeny, O.D. Join us on Saturday, July 30th for the Grand Opening of Mulqueeny Eye Centers Optical Center 8:30 AM - 1:30 PM. Win a FREE LASIK in a special LASIK raffle to benefit the children of SSM Cardinal Glennon Children's Medical Center. Live KMOX broadcast, free drawings, Fredbird and more! 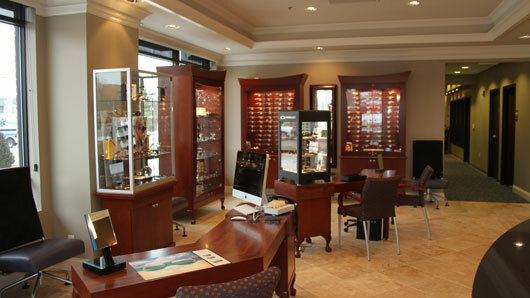 "Q"-PON Deal - $75 For Contact Lens Fitting and Purchase of Frames/Lenses or Designer Sunglasses - Worth $279.00! July 20, 2011 @ 09:34 AM -- by Sean Mulqueeny, O.D. For $75.00 you will receive a Standard Contact Lens Fitting ($179.00 Value) AND $100 toward a purchase of Frames/Lenses OR Designer Sunglasses in our Optical Center! Ribbon Cutting Ceremony Planned for New Optical July 19! July 15, 2011 @ 08:00 AM -- by Sean Mulqueeny, O.D. Come one, come all! Join us for the ribbon cutting ceremony for our new Optical! "Q"-PON $25 for $100 Worth of Frames/Lenses Or Designer Sun Wear! May 27, 2011 @ 01:30 PM -- by Sean Mulqueeny, O.D. 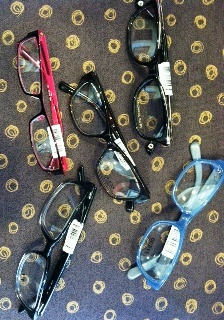 Grab our optical deal today and spend just $25 for $100 worth of Frames/Lenses or Designer Sun Wear in our Optical Shop! April 15, 2011 @ 10:31 AM -- by Sean Mulqueeny, O.D. Ma cular Degeneration - Saving Sight! 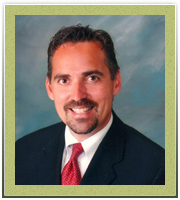 Dr. Sean Mulqueeny was interviewed recently regarding Macular Degeneration. The full article is featured in today's edition of the Ladue News...be sure to read the article in its entirety! Dr. Sean Mulqueeny and the rest of the surgical team at Mulqueeny Eye Centers in St. Louis and Creve Coeur, Missouri would like to invite you to visit our blog. The blog provides up-to-date information about custom LASIK surgery; other refractive procedures such as PRK, cataract surgery, and refractive lens exchange; and general eye care.